Bradley Vineyards was founded in 1983 by brothers John and Richard Bradley. 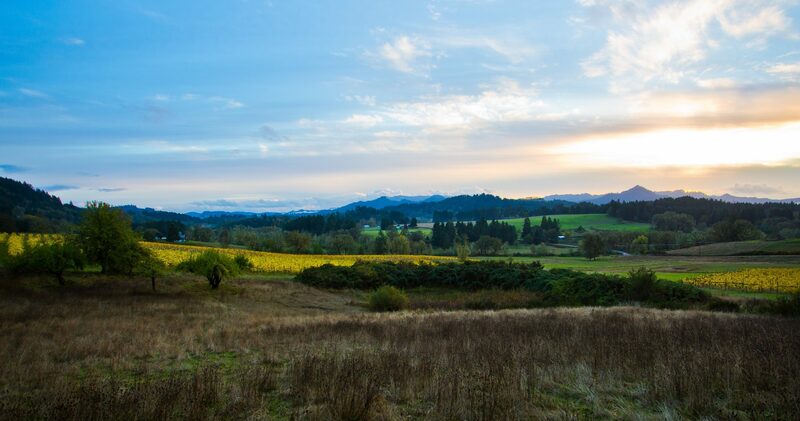 With the helping hands of family and friends, nearly 30 acres of Pinot Noir, Gewurtztraminer and Riesling grapes were planted in the South and West facing hills of Elkton, Oregon. 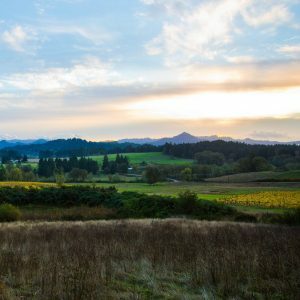 For the first 17 years, John developed as a vintner, and sold the entirety of his crop to wineries around the state of Oregon. But when friends Mike and Vonnie Landt moved to town and built their winery, River’s Edge, a partnership began allowing John to start producing a small amount of wine under the Bradley Vineyards label. In the early 2000s, John expanded the vineyard by planting a small block of Baco Noir grapes, as well as grafting Baco Noir onto a portion of mature Gewurtztraminer vines. He also introduced a small block of Pommard, a clone of Pinot Noir. By 2013, Elkton’s wine industry had expanded to include eight vineyards and five wineries. Previously, Elkton had been included in the Umpqua Valley American Viticulture Area (AVA) which is much warmer than the cool climate of Elkton. Consequently, Elkton was awarded it’s own AVA designation in 2013, marking a historical moment for John and the entire Elkton viticulture community. After John’s untimely passing in 2014, the Vineyards continue to thrive under the leadership of his wife, Bonnie. Their son and daughter, Tyler and Rachel, have also returned to Elkton to help keep his legacy alive. We specialize in a large variety of Pinot Noirs, Rieslings, and Rose.